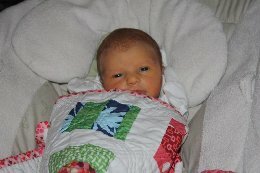 One of the best parts of making baby quilts is getting to see a picture of the baby with their new quilt. These two sweet little girls were born last year to family friends and I had the opportunity to make them each a crib sized quilt and a coordinating doll quilt. And the larger coordinating quilt is the predecessor to the Animal Sherbet Squares quilt. It’s done in the same fabrics as the mini coin quilt, with a variety of block sizes and random block placement. I had fun making these, especially knowing that they were going to these two cute little girls. I hope they’ll be enjoyed for a long time to come! 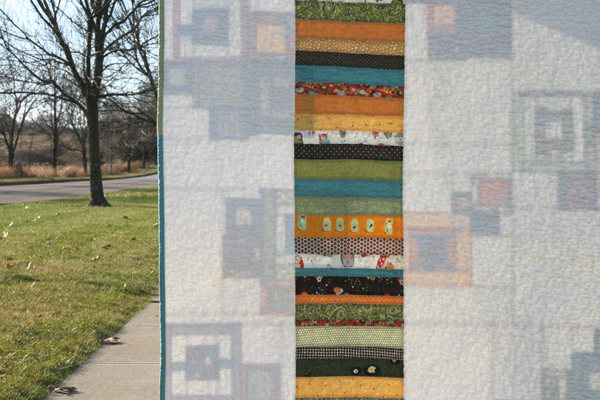 This entry was posted in [search] Square-in-Square Quilts, [search] Wonky/Improv Quilts, 2009 Finished Quilts, Finished Quilts, Posts about Quilts, Quilts. Bookmark the permalink. These are both great quilts. They will definitely be enjoyed for years! What cute babies! And the quilts are gorgeous too :o) …bet they will see a lot of use! 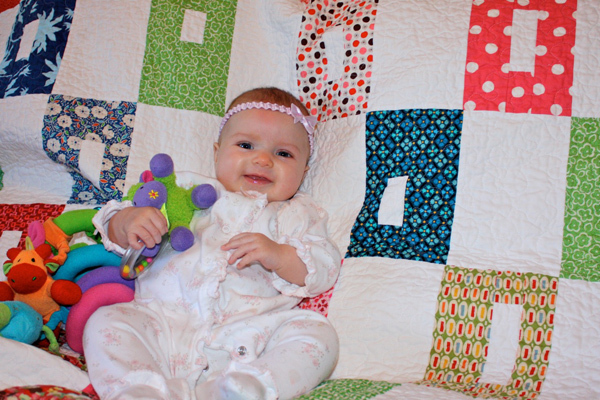 Aww I love seeing babies with the quilts I made them! I never thought to make a little doll quilt in addition to the larger quilt… lovely idea! Both are Beautiful! I love the last picture where you are showing the back of the quilt. The sun is shining through and I can see how you constructed the front. 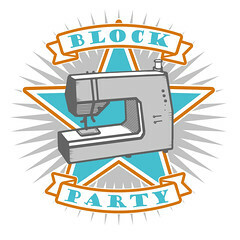 I am always staring at your quilts trying to figure out how you knew what size strips or blocks of background fabric to cut to fit around the placement of your blocks. I’m still checking out the red and aqua wonky stars quilt to see how you cut your fabric for the front and the back. Maybe you could let me in on your strategy. Thanks for sharing all your fabulous work. You are a great inspiration to me! Did someone say baby quilts??? My ears are burning! LOL Great quilts! 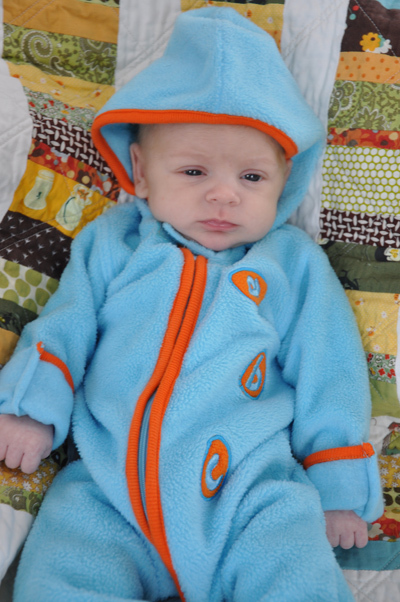 Your baby quilts are adorable and the pictures are precious! 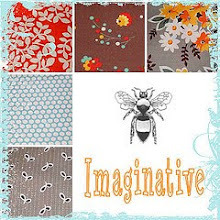 I just love your idea of a coordinating doll quilt to match a child’s quilt – what a sweet thought. 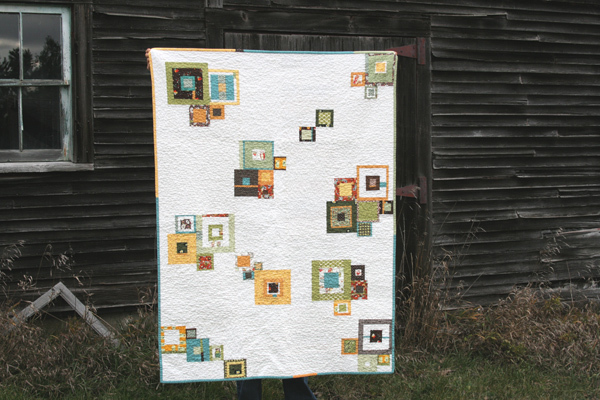 Very cute, and I love the colors on the second quilt! The colors are nice and the babies are cute. I’m sure they will be enjoyed for years to come. Wow, what beautiful babies and quilts ! They will treasure their ‘auntie’, I’m sure ! Awwwwwwwwww! It is special seeing the adorable little ones with their quilts! I absolutely LOVE your Animal Sherbet Squares quilt, and I love it predecessor in the post above. You should seriously consider writing a pattern for it. Your quilts are beautiful (all of them)! In the last pic, with the sun shining through, it doesn’t look like you are using batting – is that true or is it just really thin? They are BEAUTIFUL and soo perfect for a baby. I love them! You did a great job. The quilts look better with the babies anyways so dont worry about the fact that you didn’t get it earlier! OMG!!! YOU DID IT!! I’m so impressed Congrats I hope it’s just busy engouh to keep you not-over-the-top-crazy busy.For as girly as Maggie is, she’s just not into dolls (yet?) as soon as she hits that stage, I’m so custom ordering one Nancyb4s last blog post..
Babys are the best models for a pic with quilts!! so cute! I am so in LOVE with the second one or the one with the squares not perfectly aligned. It boggles my mind and I’m like trying to figure how you did it! Gotta go back and look again and again and again! Great job and what LUCKY babies! !